The Yuletide season is upon us, and from coast to coast homes and businesses are aglow with rooftop reindeer, spinning snowmen, and twinkling trees. Santa has taken up residence at your local mall, assisted by his loyal band of industrious elves, and Mariah Carey’s “All I Want for Christmas Is You” is the nation’s unofficial anthem. In addition to all that, here in the Bay Area, we like to get a little more experimental with our holiday displays. 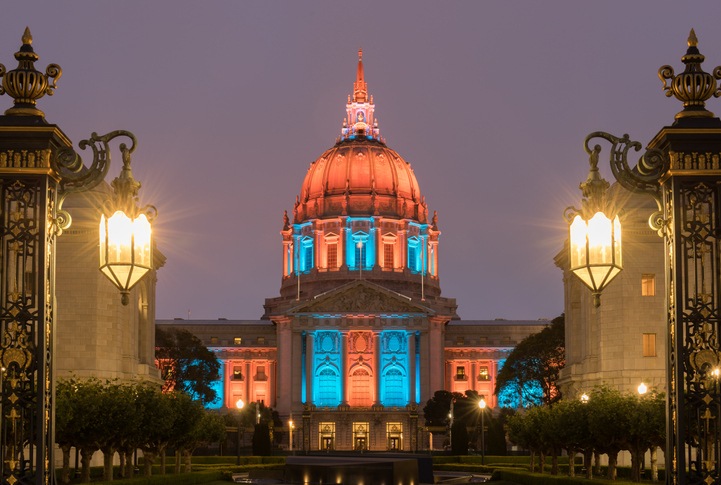 From Thanksgiving through New Year’s Day, visitors to the Golden City can enjoy the luminescent art of the Illuminate San Francisco Festival of Light. With 37 cutting-edge light installations across 17 neighborhoods, you’ll have no trouble filling an entire evening with some of the most fantastic lighting displays you’ve ever beheld. Join one of the free weekly guided tours, or venture out solo with a self-guided itinerary chart in hand. For more information, check out Illuminate SF’s official website here.